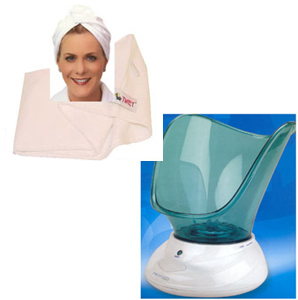 Facial Steamer with White Turbie Twist Hair Towel as seen on TV. 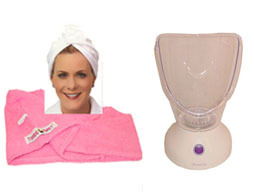 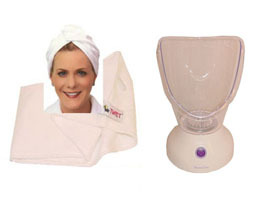 Facial Steamer with Pink Turbie Twist Hair Towel as seen on TV. 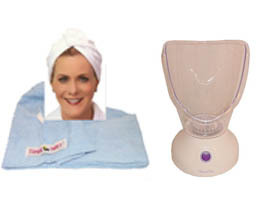 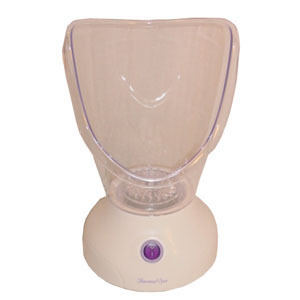 Facial Steamer with Purple Turbie Twist Hair Towel as seen on TV. 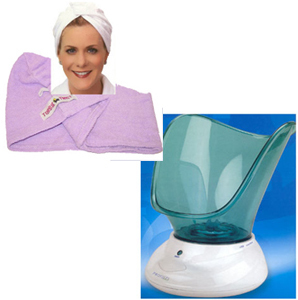 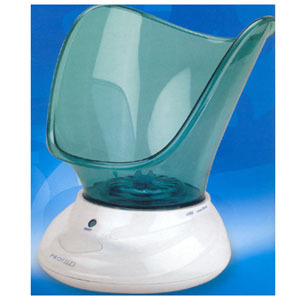 Facial Steamer with Blue Turbie Twist Hair Towel as seen on TV. 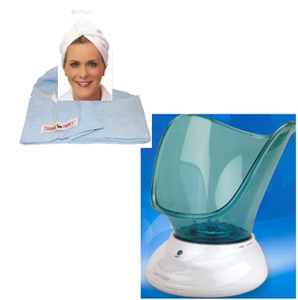 Soothing steam opens skin pores and induces natural perspiration to remove dirt, bacteria, air pollutants and makeup residue. 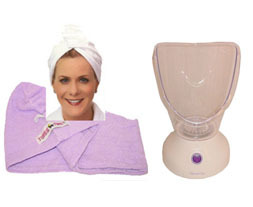 Leaves skin silky-smooth and supple. 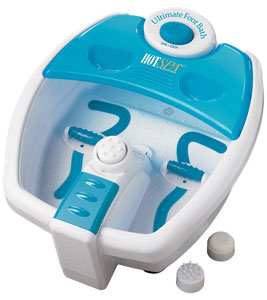 Like having your own personal mini-spa treatment! 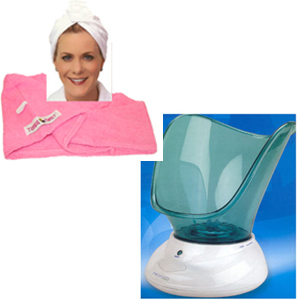 Oversized tank holds up to 1 gallon of water, delivering a generous amount of long-lasting steam. 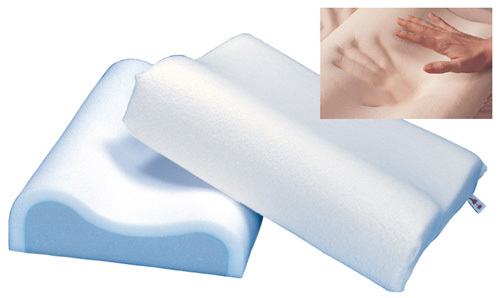 Provides more moisture than competing brands. 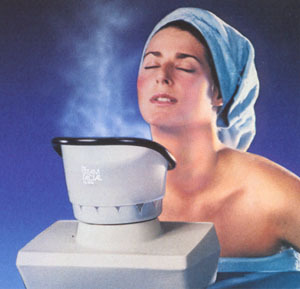 Larger opening allows steam to cover more facial area.